Kwik Snip have spent over 10 years developing and refining their metal shears to make them the best product in their class. By design, they are built to last and have original fittings from over a decade ago that work just as well today! 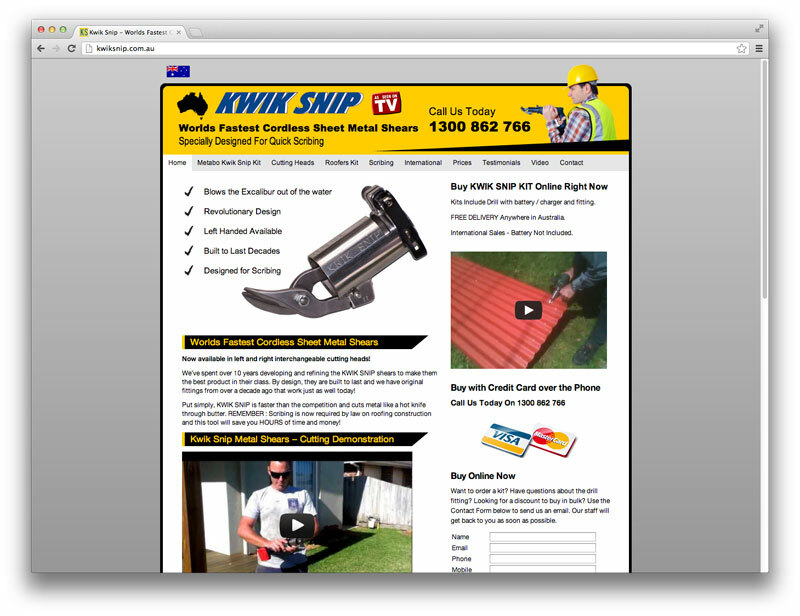 We recently converted the landing page for Kwik Snip to a full blown CMS powered website. The advantage of replacing the single page design with a multi-page website allows Kwik Snip to fully showcase their vast range products to the world. The new website was built using custom WordPress template development. 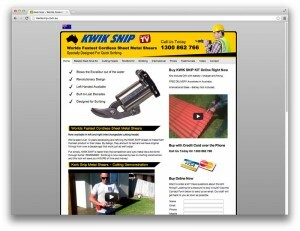 The team at Kwik Snip can now take over the controls of the website and add in blog entries and manage their own content.